BACK IN CHICAGO + JOIN US AT A CHARITY FASHION SHOW! 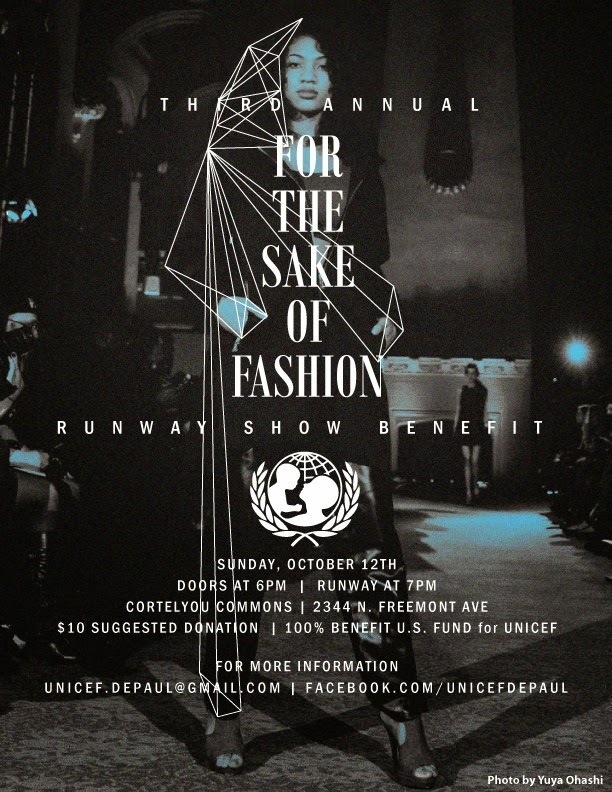 Speaking of social action and fashion, I was so kindly invited by the DePaul University United Nations Children's Fund (UNICEF) Chapter to co-host its 3rd annual For The Sake of Fashion charity runway show! The show is open to the public (only a $10 suggested donation) and will feature a range of local and international socially-responsible brands, with 100% of the proceeds will be going toward UNICEF-DePaul! The runway show will take place Sunday, October 12th at 6:00pm at the Cortelyou Commons on 2324 N Fremont Street in Chicago, IL. There is also an opportunity at the end of the show to purchase some of the featured clothing donated by designers at a fraction of the designer price! So cool, right!? Look at you go, girl. Haha, that's awesome, wish I could go! If only...sigh. OMG! THIS LOOKS AMAZING! I am totally going to make it over to see the show. I would die to meet you! I love this. Really want to come to the show!!!! Ah Chicago, I wish I lived just a little bit closer! The event sounds like it's going to be a lot of fun, enjoy! Thats awesome! 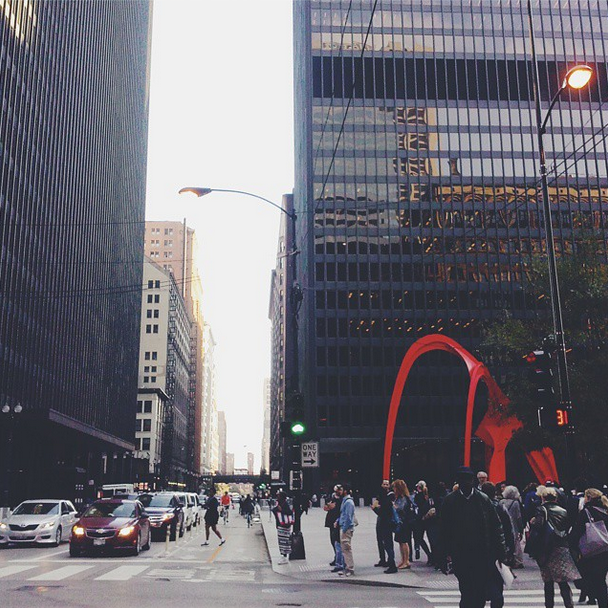 I love Chicago. Wish I was there to partake. What a great cause too! Nice Work! Such a fabulous organization... and putting on a fashion show? Slam dunk. Love it! This sounds like a great event for a great cause! This sounds like such a fun event and UNICEF is an amazing organization to support! If only I lived in Chicago! oh, Hoda it's a great opportunity to you to become co-host of this event. Great job girl, you're the best..
Congrats on hosting this event. Love when fashion is in the name of a good cause.